Dr. Yoo and his staff were so friendly, knowledgeable, and professional. He takes the time to explain your care options toyou and doesn't try to push unnecessary services on you. I highly recommend him! Dr. Yoo and his staff were so friendly, knowledgeable, and professional. He takes the time to explain your care options to you and doesn't try to push unnecessary services on you.I highly recommend him! I had the best experience ever. Dr. Yoo and the staff are amazing, very professional and helpful. Painless cleaning! I’ddefinitely recommend and refer my friends and family! I had the best experience ever. Dr. Yoo and the staff are amazing, very professional and helpful. Painless cleaning! I’d definitely recommend and refer my friends and family! *Patient must provide DENTAL INSURANCE MEMBER ID when making an appointment. Patient can't be seen if MEMBER ID isn't provided before scheduled appointment. 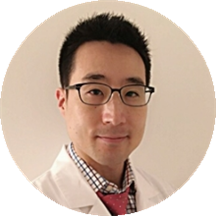 Dr Jeremy Yoo graduated from Stony Brook University Dental School and completed his residency at Maimonides Medical Center. He continued his surgical training at NYU with a 2 year implant surgical program. He then went on to study at Montefiore Medical Center to achieve an Intravenous Sedation license. Dr Yoo is certified to perform moderate IV sedation in the state of New York. He is very proficient in all aspects of implant surgery and believes in providing excellent treatment at a reasonable price so that everyone can afford quality dental care. It was wonderful! Kind, gentle, caring and fast! Everything was wonderful! The staff is very nice and Dr Yoo is great. I didn’t have to wait at all and everything was very professional. Highly recommend!! My sister referred me to GD dentistry and I am very grateful that she did. I was able to get a Laser teeth whitening for free!! I absolutely loved the results. Came out really well. My experience with Dr. Yoo was very pleasant from beginning to end. The staff was very knowledgeable and swift. For it being my first time at the practice everything went smoothly as if I was a patient of the practice for years. Amazing, friendly and professional staff. Dr. Too is amazing, had a cleaning and he did not hurt me at all. I recommend him to everyone that has any phobias with dentist. Friendly, caring, thorough, and professional. Dr. Yoo, is very articulate and professional dentist. He took care of my mother very well and provided examples to better understand her situation. Dr. Yoo is patient, courteous, and knowledgeable. I highly recommend. Very professional and takes his time. Dr. Yoo was very polite and professional. He was knowledgeable of his practice, so I decided to keep him as my regular dentist. I didn’t have to wait long to be seen; the clinic was very clean and his staff was very friendly. Dr. Yoo was extremely professional and friendly. The reception staff were extremely helpful and getting me signed in. I didn't wait at all and they seated me right away. In the past, I've been to dentists that know nothing about whatis covered by insurance and what isn't and I spend the whole appointment going back and forth between the reception and the dentist to weigh costs. Not here! Dr. Yoo knows the answers to all your questions, even coverage related. 100% recommend. Jeremy was the kindest and most gental dentist I've ever been to. His chairside manner, knowledge and skills are off the charts! I recommend my family freinds and anyone to his office in upper Manhattan. Very professional yet very personable. Definitely coming back! Awesome experience! Dr. Yoo was super professional and given my situation that I can be proactive or wait, put the decision about what to do in my hands. Dr. Yoo was professional, amazing bedside manners and will be following up with him once more. Dental emergencies are always a hassle, but Dr. Yoo quickly found a technician across town who could help me out on the spot. Even called ahead to arrange it. Within three hours my dental work was repaired when normally the turnaround time is at least three days. I had an implant placed while sleeping under IV sedation. I dont remember a thing and when I woke up it was all finished. It didnt hurt that much after either. I dont think I could have done this without being put under. It was definitely worth the money. Dr Yoo is one of the best dentists I have ever had. He really cares about his patients. He takes the time to explain what he is doing which really helps people like me that are a bit dentist-phobic. I would highly recommend Dr Yoo. Through Cleaning, explains everything, very friendly and great service. I went to see Dr. Yoo about problems with teeth sensitivity. I saw two other dentists about the same matter and they never gave me a clear answer to why I was getting the sensitivity but only solutions and one evensuggested a root canal. However, Dr. Yoo listened and asked a lot of questions to come up with the root cause of my sensitivity problem. It was a simple problem with teeth grinding. I didn't think that occasional teeth grinding might have caused the problem. I have been wearing my night guard for a few days and already feel a difference. Dr. Yoo is a caring and knowledgeable dentist. I would highly recommend him. The doctor helped me explain the issue and also suggested future course of action. It was a good visit. I usually don’t enjoy going to the dentist but my visit with Dr Yoo was very pleasant. He was gentle and thorough. Dr Yoo put in my crowns today and I can't stop smiling. He completely transformed my smile. All my friends complimented me all day. Wow! I love it! Everything was great! He is very detailed with what he does and shows interest in your dental health. This is one man's perspective, so take it for what it's worth and form your own opinion, but the following are facts: 1.) I waited 50 minutes in the waiting room before I was taken back 2.) The desk work (prettysure she was not a hygienist) assumed I needed the full set of images. She did not ask me anything about my medical history and was ready to subject me to more radiation 9 months after my last full set of images. I don't know the guidelines (I think it's 1x per 12 months), but she didn't either! That's what really concerned me. 3.) They took standard x-rays of my teeth. There was no lead covering for my thyroid area, only my chest. 4.) Dr. Yoo did all of the workup and completed the examination. There was no hygienist. He worked fast & efficient, but it concerned me that since I was a brand new patient he asked me nothing about my dental history. I was surprised that he didn't ask me how often I floss. He is always friendly, professional, and extremely competent. Thank you. Dr. Yoo was very kind and professional. His office space is nothing fancy but the service you receive is excellent and in a timely manner. Friendly and knowledgable. One of the best dentist I've been too! Everything was great, Dr Yoo did a beautiful job and the staff is really friendly. Highly recommended. Dr.Jeremy Yoo is truly one of the best dentist in NYC. He provides care of outstanding quality with efficiency that is remarkable and approaches the patient as an entirety that is missing in most practices. He does this in a costeffect manner. My treatmen plan for implants was just incredible. I love the way he treats me and explains me. I understood everything he said. I just want to thank Dr. Yoo very much. He took excellent care of me, and did beautiful work. I am very happy to have him as my dentist.